Ipswich is a beautiful city situated in the south-west of the Brisbane metropolitan area, Queensland. Being one of the oldest provincial cities in Australia, it is home to beautifully renewed heritage buildings, vintage houses, beautiful parks, entertainment hubs, adventurous destinations and a lot more. The city is popularly for its natural, architectural and commercial heritage. Ipswich has more than 500 parks and is renowned for its art and design scene. Apart from cultural and entertainment centres, there are also some great business opportunities in Brisbane, Queensland for small business owners and passionate entrepreneurs. There are various commercial developments in Ipswich, and most of the people are looking for well-established businesses and franchise models to meet their targeted entrepreneurial goals with ease. The economy is also predicted to be worth $12.7 billion by 2026 – thanks to the coal and mining sector. Other secondary manufacturing sectors included Sawmills, foundries, abattoirs, and a lot more. Besides this, Ipswich also offers excellent business opportunities to those who are looking for food-related businesses, cleaning franchise and café and coffee businesses. 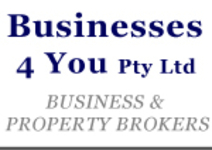 Currently, there are over 14 businesses and franchise opportunities for sale listed in Ipswich, Brisbane. Some of the business categories available for sale are 2 Cafe And Coffee Shop For Sale, 1 Building And Construction businesses for sale, 1 Fashion businesses for sale, 1 Distribution businesses for sale, 1 Restaurants For Sale, 1 Swimming Pool Business For Sale, 1 Franchise For Sale, 1 Age Care businesses for sale, 1 Takeaway Shop For Sale, 1 Butcher Shops For Sale and many more.